can get everything in one place and at the quality you have grown to expect from EKD. We run Melco Amaya XTS -16 color commercial grade emboidery machines and can embroider on just about anything you can think of, safe bet is if a needle can go through it we can embroider on it. 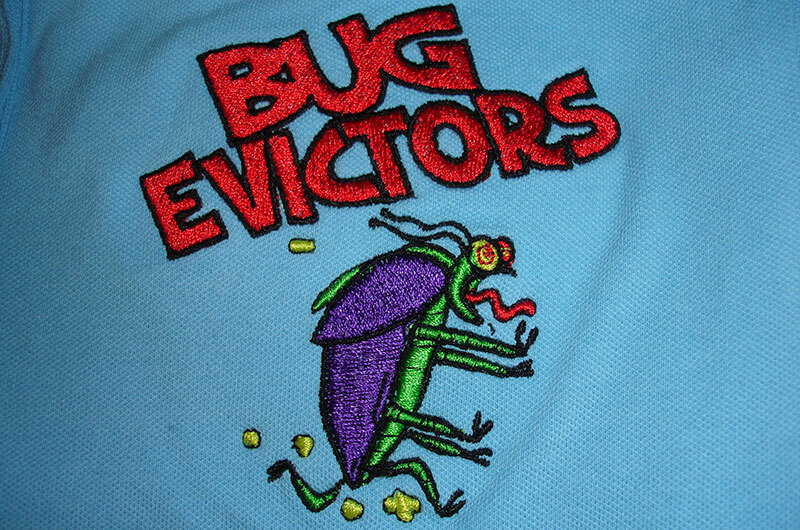 Great embroidery starts with properly digitized files. 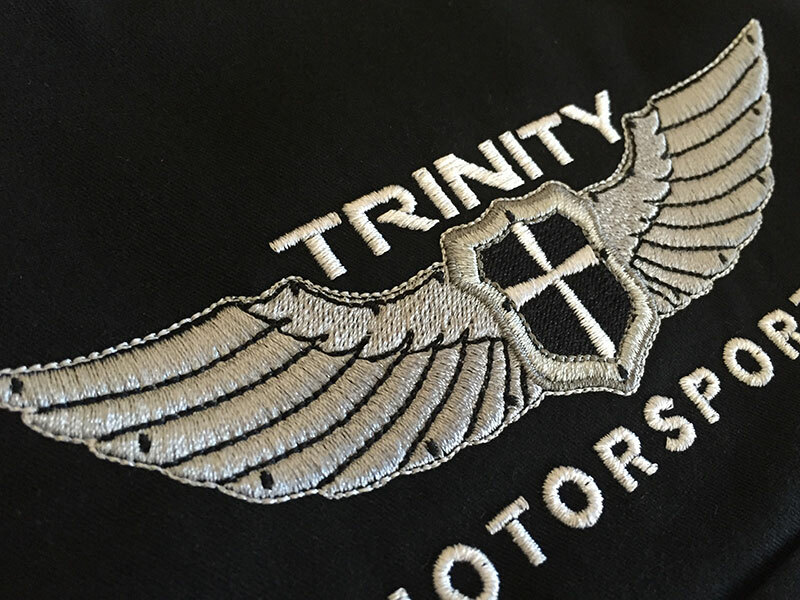 If you are coming to us because your disappointed in the quality of embroidery you are getting from another company then 10 to 1 the digitized file you have won't be any good to us and it would be best to start from scratch. 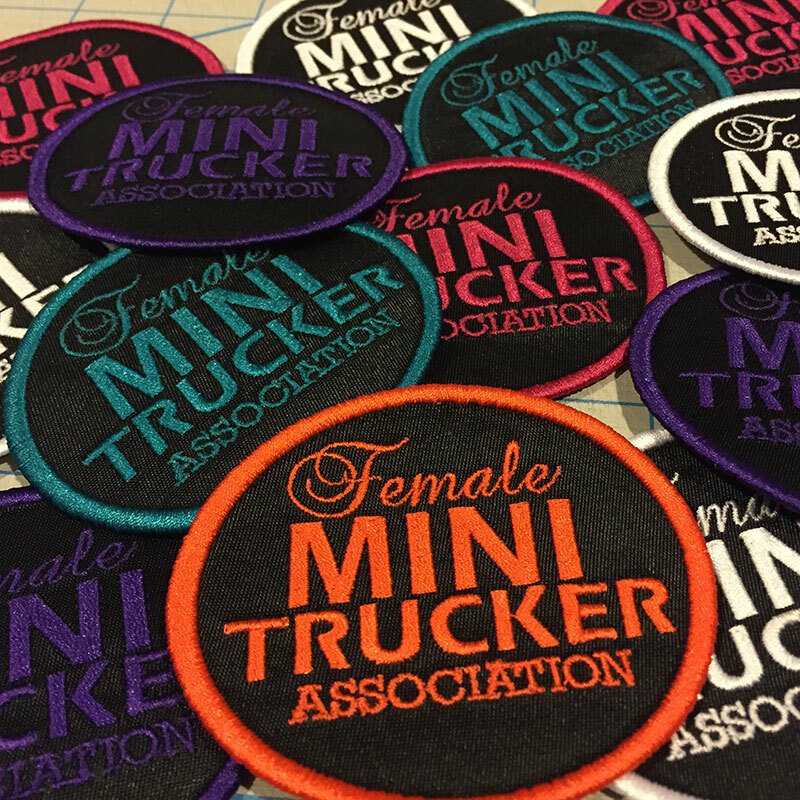 We Offer Standard Embroidery, Puff Embroidery, Appliqué, Patches, and More! We offer many different brands and types of headwear from fitted hats, velcro hats, beanies to visors. 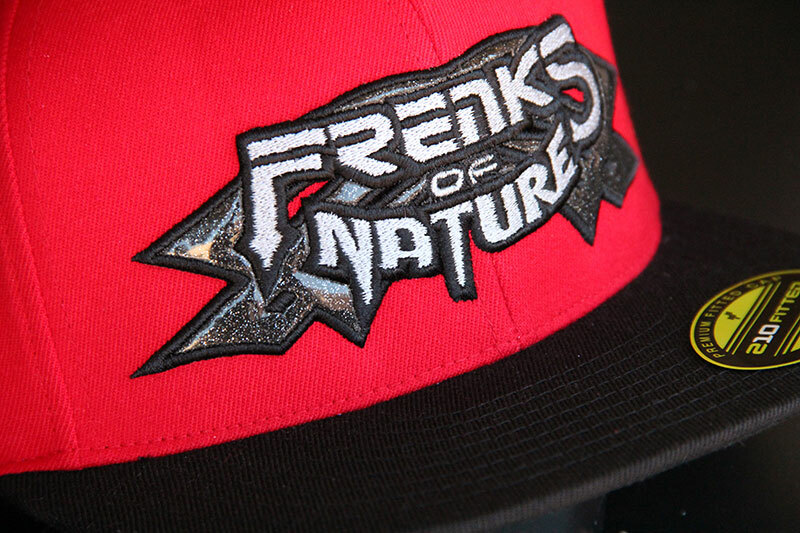 Brands such as: FLEXFIT, New Era, Otto Cap, Port Authority, and more. Below are some sample prices for one of the brands/style do most frequently. *Price above includes up to 16 thread colors per hat, mix and match between hats on thread colors and hat colors, one location, and up to 10,000 stitches. Specialty hats are $1 extra (faded, flat bill, pinstriped, etc.) 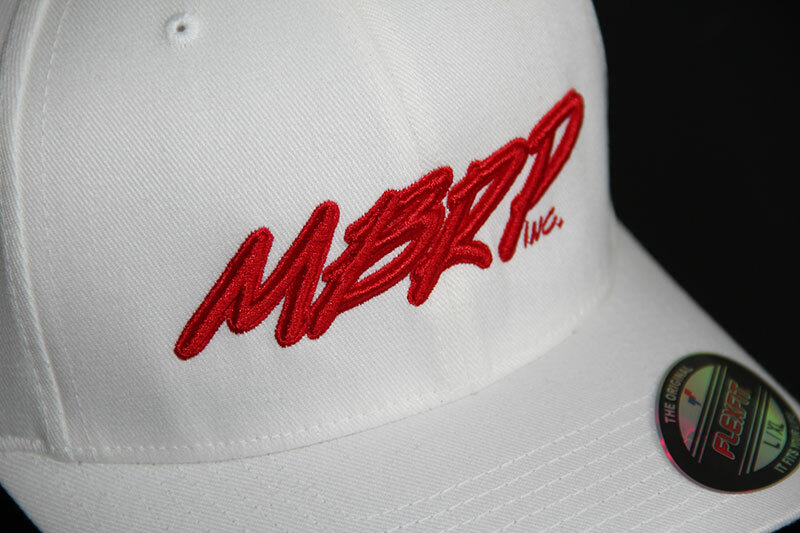 Note: Addition cost for puff foam embroidery, pinstriped hats, and 210 flat bill hats. Get your employees some polo shirts that not only makes your employees look more professional but also help advertise your buiness. 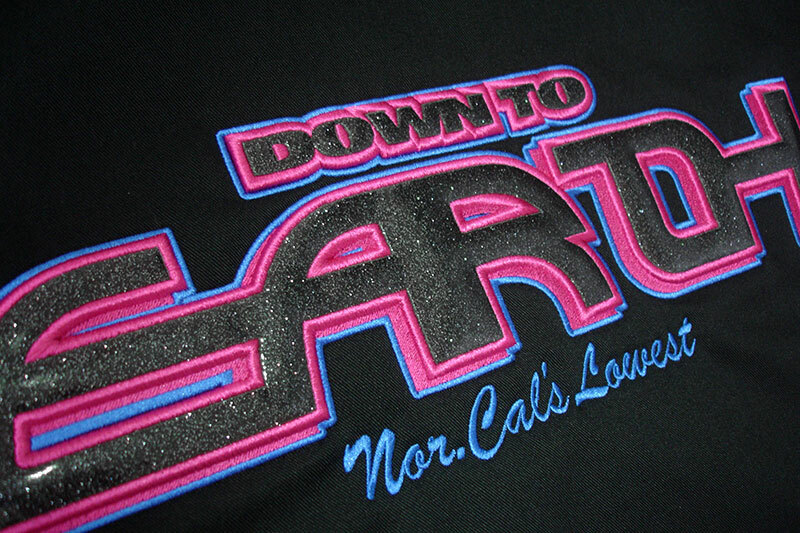 Just let us know what brand and style you want us to get and embroider on for you. Below are some sample prices for one of the brands/style do most frequently. *Prices above include up to 16 thread colors per shirt, mix and match between shirts on thread colors and shirt colors, one location, and up to 10,000 stitches. 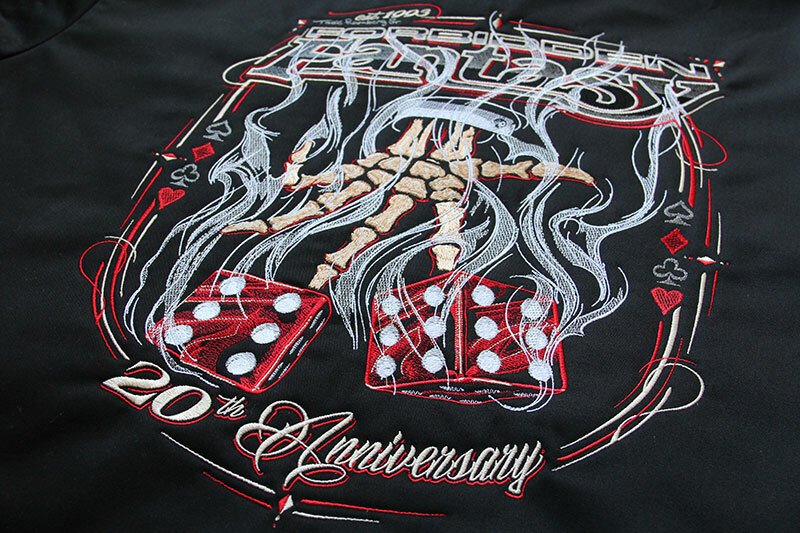 Work Shirts are also a very popular item for custom shops, body shops, and car clubs because of their durability. Below are some sample prices for one of the brands/style do most frequently. *Prices above include up to 16 thread colors per shirt, mix and match between shirts on thread colors and shirt colors, one location, and up to 55,000 stitches. We offer a wide range of jackets but the most popular would have to be the Dickies Eisenhower Jacket which retails for $34.99 with no stitching, so why not customize it with stitching for a little more. 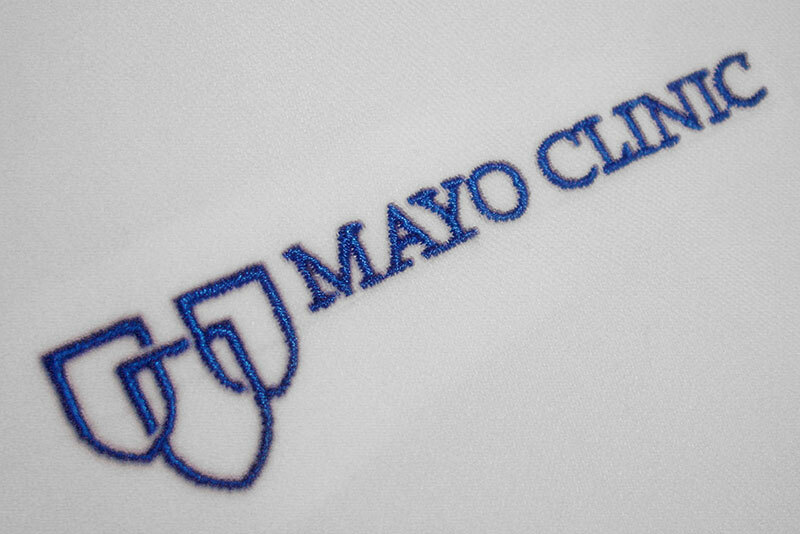 The above is just some of our most popular items that customers ask us to embroider on. 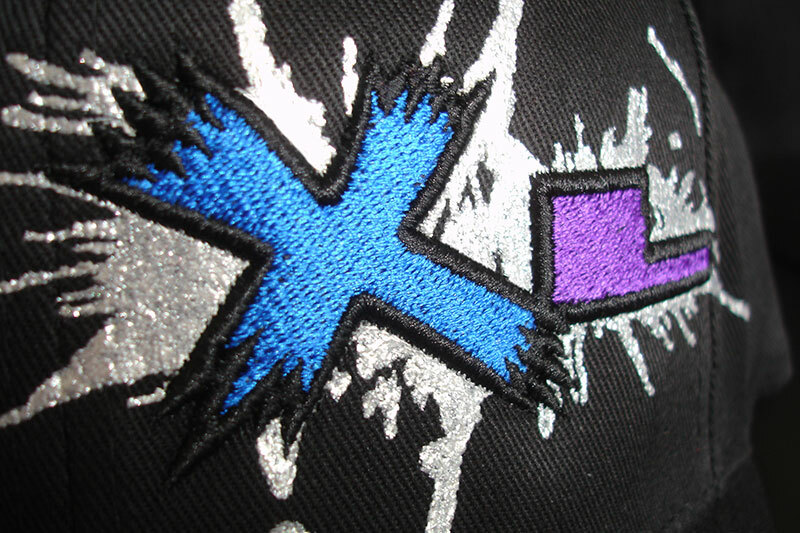 We can embroider on hats, beanies, shirts, jackets, shorts, towels, bags, upholstery, and much more so be sure to fill out a quote form with what you are looking to get embroidered so we can get you a price to embroider it for you.